If I think I've been bitten, do I need to see a doctor? How much of a problem are bed bugs at UW–Madison? How can I keep bed bugs from coming into my room? What signs should I look for when traveling? If I think I have bed bugs in my room, what should I do? I'm embarrassed to say I might have bed bugs in my room. What are the different methods pest control operators treat for bed bugs? "Bed bugs" (specifically Cimex lectularius) are dark brown, very small insects that typically hide in small cracks and crevices during the day (including a mattress, box spring, or headboard) and emerge out at night to look for a blood meal. Most people do not feel the bites at the time but may notice them after waking up; the bites may develop into itchy, red bumps (often several in a straight line or cluster) 1 to 3 days after being bitten (a delayed reaction up to 14 days is possible). Adults are about the size and color of an apple seed, and immature bugs are smaller and lighter in color. Bed bugs cannot hop or fly. In most cases, no medical treatment is needed. But if you have extremely itchy or painful red bites or you are concerned that you may have been bitten by bed bugs, you can call UHS for an appointment: 608-265-5600. Bed bugs bites are not known to transmit any diseases to humans, but they can cause sleeplessness and anxiety, so the room should be professionally treated to eliminate them. Some people never have any discomfort from being bitten, while others may have a strong allergic reaction, causing the bumps to be extremely itchy and painful. Because of the difference in how people's bodies react, one roommate may experience the bites as very problematic while another roommate may not be aware of them at all. 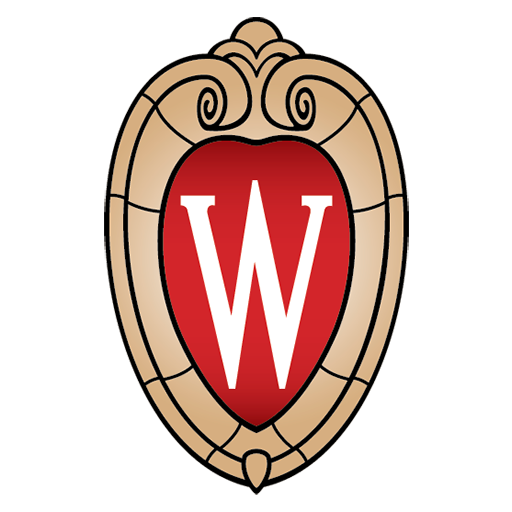 In recent years, most large universities have had some reports of bed bugs in one or more buildings, and UW–Madison is no exception. However, to date, there have been only a handful of suspected and confirmed cases on campus, and we'd like to keep it that way. The university is extremely vigilant about this problem, and with your help, we can continue to keep the problem to a minimum. promptly reporting any suspected infestation in a campus building for immediate treatment. There have also been occasional reports of bed bugs in off-campus housing. The City of Madison does not have a particularly large bed bug problem, but it is a metropolitan area, and standard precautions should be observed. The best prevention against bed bugs is not to bring infested furniture into your room and to be careful when traveling to check your hotel room for evidence of bed bugs and use standard precautions in any hotel room. If you are concerned that you may have encountered bed bugs while traveling, it's wise when you return from a trip to launder your clothes and luggage (e.g., backpacks) in hot water before unpacking them in your room and dry it on high heat. The more people who spend the night in a place, the more chances there are for a few bed bugs to come along for the ride, which is why even well-maintained hotel rooms can experience bed bugs. Rusty or reddish stains on bed sheets or mattresses caused by bed bugs being crushed"
2. Even if you don't see any signs of bed bugs, it's a good precaution not to store your luggage and computer on the floor or leave them sitting on the bed. Store belongings as far away from the bed as possible. If you are staying in a hotel or you rent an off-campus apartment, report the problem promptly to your building manager, landlord, or rental agency. If the problem is not handled, contact Public Health – Madison & Dane County (Lodging/Facility Complaints 608-243-0330). If you live in a UW residence hall or apartment, or are staying in a UW-operated hotel room, report the problem to the staff immediately (see numbers, below). They will alert the UHS Environmental Health Program and set up a prompt inspection. If there is evidence of bed bugs, a professional pest control operator will be brought in to treat the problem. Don't just wait and see if the problem goes away. Bed bugs have short legs, but if left undisturbed, they can travel a far distance through electrical outlets and other "bed bug highways" and spread to additional rooms in the building. Don't attempt to treat the problem yourself, as professional methods are needed; you can't just run the vacuum cleaner or use a can of bug spray from the drugstore. Do not leave your windows open in winter to attempt to freeze out the problem, as you are more likely to freeze the water pipes and cause an expensive flood. Not all bugs that are found in a bed or bedroom are bed bugs (Cimex lectularius); when you report the problem, additional information will be gathered to identify the source. If you see a bug that you think is a bed bug, try to kill it without squashing it too badly and save it so it can be included in the inspection. If you see evidence of bed bugs, take a picture for the investigator. Don't be. Bed bugs have nothing to do with whether or not a person is clean, neat, or hygienic. There should be nothing more embarrassing about bed bugs than about being bitten by mosquitoes. However, it could cause embarrassment if you don't report it and bugs spread to other rooms or apartments as a result. If you report a possible problem in a campus building, UHS Environmental Health will conduct an investigation as soon as possible, at least within 7 working days of your complaint. Try to not have your belongings strewn about; this allows bed bugs to hide and can impede the inspection and treatment. Inspection will include looking at the sheets, bedding, mattress, and box spring. The inspectors may have to remove the sheets to look at the crevices within the mattress. Wooden bed frames may need to be dismantled; in hotels, the headboard will need to be removed from the wall. Dressers and other furniture, especially if made of wood or fabric, will be examined. Other areas that may be searched include carpeting, cracks in wood molding, ceiling-wall junctures, and wall-mounted picture frames, mirrors, and electrical-switch plates. If bed bugs or signs of bed bugs are found, the pest control operator will treat the room right away, and adjoining rooms may have to be inspected. Heat is a common method being used to treat bed bugs. A core temperature of 120 F that is sustained for at least 2 hours should be an efficient means of killing bed bugs. Most of the time a machine that generates heat or steam is used to heat the entire room to 120 F this method kills bed bugs within mattresses, furniture and appliances. Cold is another way to treat bed bugs; however, bed bugs can tolerate some pretty cold temperatures. To kill bed bugs, all items or furniture would need to be exposed to 0 F for several days. Fumigation is the use of toxic gas to kill bed bugs. Chemicals, usually from the group known as synthetic pyrethroids, are used. However, some bed bugs have developed a resistance to many pesticides. Also chemical treatment is difficult because it is hard to reach within each crack and crevice. Usually several treatments are necessary to solve the problem. Contact the UHS Environmental Health Program 608-890-1992. Bed Bug Complaint Form for staff of UW residence halls and apartments, or UW-operated hotels.